Cerecetam Tablets offered is made available under brand name Cerecetam and contain active ingredient that acts on brain and nervous system and protects it against shortness of oxygen. Tablets can also be used in combination with other medicines for treating myoclonus a condition where nervous system causes arm and leg muscles to jerk or twitch uncontrollably. 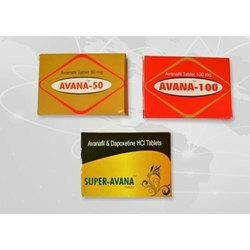 The primary indication of Avana Tablet is treatment of inability to sustain a satisfactoin to complete inter course. Avana is also effective in the rare disease pulmonary arterial hypertension (PAH). 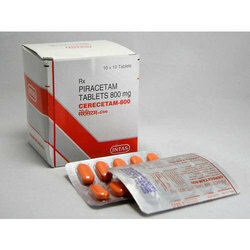 Looking for Cerecetam Tablets ?